In the event of an emergency you may need to evacuate quickly, or you may have to remain in a building for a long period of time. In both instances you should have an emergency kit ready that can be accessed quickly (one for staying, one for evacuating). Make a list of all the items you will need, you will find a lot of the items you will already have. If you do need to buy items, financially this can be difficult to buy all at once. If items are needed, maybe plan to buy items over a period of time. 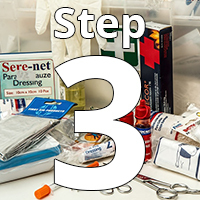 You can download this list which gives suggestions of what needs to be included within emergency kits as guided by the Australian Red Cross. Some people who use motorised wheelchairs, you may wish to keep a manual wheelchair as a back up. This can assist with issues when there is no power. Seasonal supplies - blanket, insect repellent, water proof clothing. Have you made a list of items you may need? 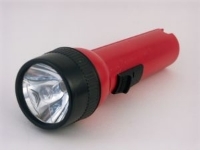 Do you have an emergency kit for evacuations? Do you have emergency supplies if you need to remain in the building? Do you have an emergency kit for your vehicle? Are these kits easily accessible?